The development of a Malaysia nation brand has been discussed for a number of years. As part of the Industrial Master Plan (IMP3), a National Branding Task Force was established and tasked with building the Malaysia Nation Brand. In 2008, through the Malaysian External Trade Development Corporation (MATRADE) and after extensive research and a nationwide tender, the project was awarded to a brand consultancy. After a letter of award was issued to the consultancy and the project team was mobilized, the then Prime Minister stepped down and six months later the project was cancelled. Soon after the National Branding Task Force was disbanded. Since then there hasn’t really been any organization established to develop a Malaysia Nation Brand. Some of you will say that 1 Malaysia was a Nation Brand but it wasn’t. At the end of 2011, some firms were invited to “submit slogans for a new Nation Branding project”. Of course a slogan isn’t a Nation Branding project but it was considered a start. The slogan chosen was probably “Endless Possibilities” because this was used during the World Economic Forum in Davos to promote Malaysia as a South East Asia location for investment and tourism. Without any warning, a sixty second TV commercial aired on CNN in March 2013. If you have a weak stomach, I don’t recommend you read any of the reader/viewer comments below the video. 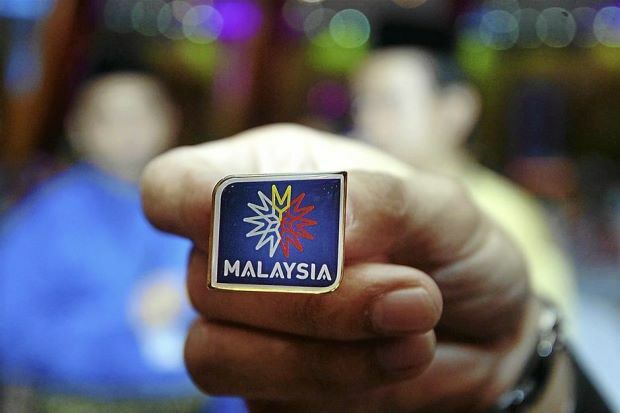 More recently, the Prime Minister was spotted wearing a badge with a design that has been described as “a starburst in red, yellow and white against a blue background.” Malaysia, in a custom font is underneath the logo. In late August 2013, a local news portal reported that Prime Minister Najib Razak will launch a new national branding effort and that the national branding effort comes with the slogan or tagline, “Endless Possibilities”. This is exciting news, so what should we expect from the Malaysia Nation Branding project? It is important that Malaysia doesn’t fall into the trap many other countries fall into – jumping head first into a well produced communications campaign in a misguided attempt to build a brand. India is famous for its ‘Incredible India’ advertising campaign launched in 2002. By 2009, India was spending US$200 million advertising the country. In November 2012 India announced that a new advertising campaign headlined, “Find what you seek” would be launched to build on the Incredible India efforts. The goal of the new campaign was to increase international arrivals by 12% annually till 2016. Unfortunately, little more than a month later, a woman in Delhi was brutally gang raped and left for dead on a public bus. The story made headlines around the world. Four months later, a Swiss woman was gang raped whilst on a cycling tour of Madhya Pradesh and soon after, a British woman was attacked in Delhi and only avoided potential death after jumping from a hotel window to escape. Within a matter of weeks, instead of announcing increased interest, tour operators were reporting a 35% cancellation rate from women and a 25% drop in all arrivals with multiple cancellations from the lucrative markets of Australia, the UK, Canada and the United States. Meanwhile, FDI dropped 29% in 2012 despite the ongoing advertising campaign. An advertising campaign, however good, isn’t going to change perceptions caused by crime or reverse FDI declines caused by the global economic situation. So years of the Incredible India campaign, if remembered at all will now be replaced with harrowing tales of the treatment of women in India and depressing economic data. What nation brands have to understand is that today, not only are constituents in target markets more segmented and more knowledgeable, they also live their lives very differently, source their information more socially and in many countries, no longer believe corporate driven messages anyway. But most important of all, in today’s dynamic, fluid social, Internet fuelled world the corporate driven message, created after months of brain storming by consultants and the like and communicated to all and sundry at enormous expense repeatedly can be undone in a moment and replaced with harrowing tales of criminality and economic woe. Building a Nation Brand is a strategic initiative not a tactical one. A communications campaign is a tactical activity and it is not possible to build a Nation Brand with a communications campaign, especially one that is created to convince both internal and external stakeholders of something that is hard to prove. 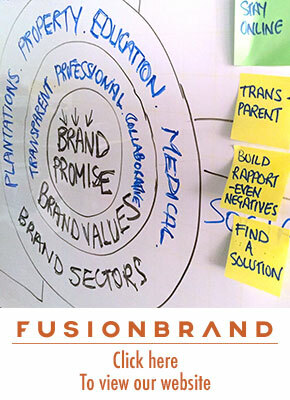 Today, building a Nation Brand requires multiple elements that are critical to the success of any such project. However there are two in particular that will make or break the Malaysia Nation Branding project. The first is that the community must be involved in the development of the Nation Brand and agreed values must be clearly defined and understood by all stakeholders and integrated into their lives and applied to every touch point. Sure there must be a CEO with the knowledge, strength and unbiased objective viewpoint to drive the project but without this early stage buy in from stakeholders, the chance of success are very low. And the second critical element is that promises made must be kept. It is simply not good enough anymore to say you are something or you are going to do something without delivering on that promise at every touchpoint. I don’t know the full extent of this project and how the community was involved but in the video aired on CNN, the Prime Minister says, “Malaysia is the unique place where the best of Asia comes alive.” That’s a bold statement that will require buy in from all Malaysians and will be tough to deliver to all stakeholders. So let’s hope the Prime Minister and his team pulls it off because in the current economic climate, a well defined brand that has the buy in of key constituents, resonates with target markets and delivers on promises made will give Malaysia a significant edge over competitors in an increasingly competitive environment. 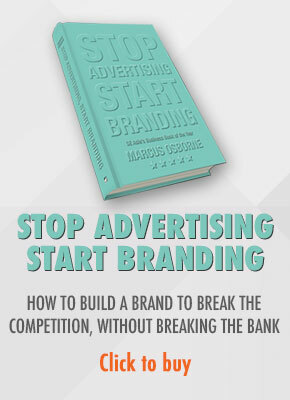 “…it is not possible to build a Nation Brand with a communications campaign”……Well said! Bang on the mark! An adhoc approach to nation or destination branding is a recipe for wasting millions and can actually set back efforts because prospective customers end up confused or because of controversy. It’s also problematic to select a slogan or advertising campaign, call them brands and then set about trying to make them come to life. Unfortunately officials falls in love with the outcomes of a brand strategy i.e. print and tv ads, and totally forget to get the brand foundations set and generate the buy-in of partners before unleashing the creative folks. This all takes time and unfortunately some officials don’t have the patience for the careful steps that are needed. Fire! Ready! Aim! Hi Bill, thanks for dropping by and commenting. Well said too. All of the above is so relevant in this case but what really struck me was the incompetence of those involved in that it would appear not one of them bothered to google the tagline! Outstanding!